Whether you’re a sceptic, a scaredy-cat or a diehard paranormal believer, there’s no denying the excitement you feel on a ghost tour. When you visit a haunted site, you can’t help but get sucked into the mystery of its disturbing past. These spooky sites are bursting with history and secrecy – they’re the perfect way to spice up your next trip away. One of Australia’s oldest penal colonies is naturally also one of its most haunted locations. To experience the horrors of Port Arthur firsthand, visit the Port Arthur Ghost Tour. At sunset, you will be led by lantern light through some of the site’s most haunted buildings. Consider yourself a regular ghostbuster? 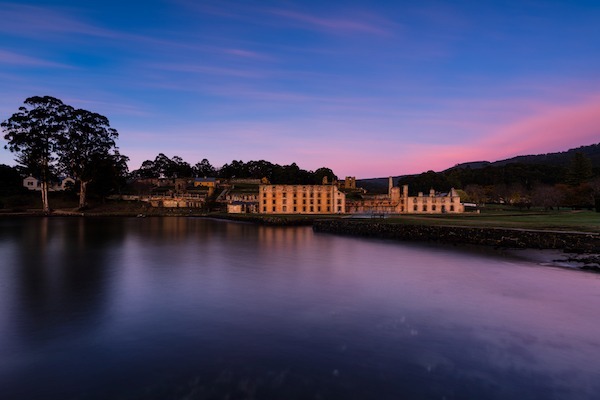 Then you’d be a fool to not go on Port Arthur’s Paranormal Investigation Experience and visit the most haunted buildings, armed with specialised paranormal equipment. Journey south-west of Sydney to the town of Junee, in the Riverina region, to experience one of Australia’s most haunted homes: the Monte Cristo Homestead. This lavish estate was the site of some truly horrifying events but instead of shying away from the building’s dark past, its current owners have chosen to fully embrace it, running ghost tours and inviting visitors to spend a night in the building. If you’re looking for a spooky experience this winter, then you can’t go past the Aradale Asylum in Ararat in Victoria’s south-west. An estimated 13,000 people died at the asylum, and it’s been said that many of the patients still haunt its halls. While you’re in Ararat you should also visit the J Ward, part of the old Ararat Gaol – this building housed the most dangerous patients who couldn’t be kept at Aradale.